Using the maps at the NCDOT I 540 maps website and Google Earth, I measure that the length of the unopened segments of the I 540, ( US 1 to US 401 to US 64/264 to US 70 to I 40 to NC 50 to US 401 to NC 55 to US 1 to US 64 to NC 55 to NC 54 ) is 50 miles. This makes the whole loop 67 miles. It is obvious that I 540 will have to be renumbered sometime. When the whole loop is complete, the loop should be renumbered clockwise from I 40 at the south. Perhaps they will resign it I 640 then. 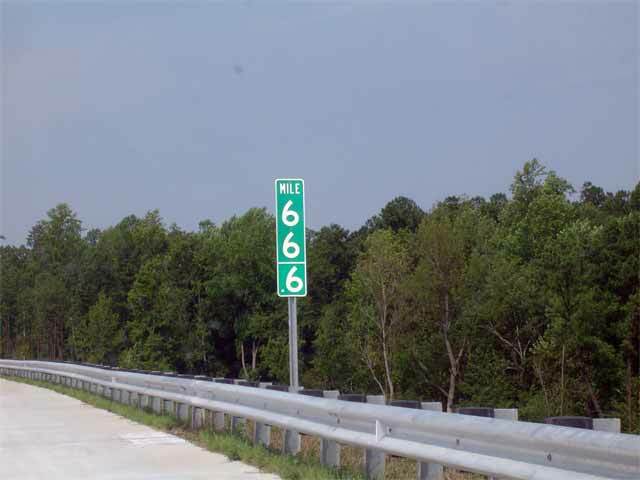 Bob Malme has reported in seroads that the DOT emailed him that the errant mile markers will be renumbered to a 69 mile loop. 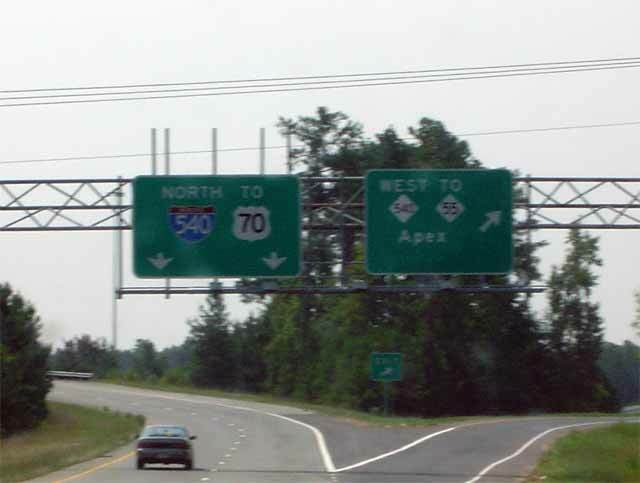 Exit 50 will be renumbered to exit 69. 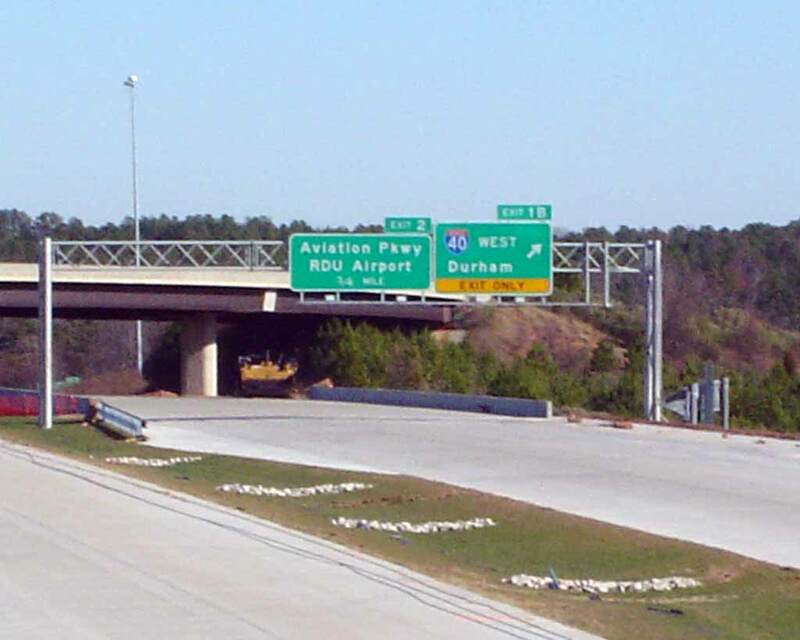 The News and Observer has reported in this article that I 540 west of I 40 is being renumbered to NC 540, so that it can be tolled in the future. Apparently, the proposal to toll it as an Interstate was rejected. 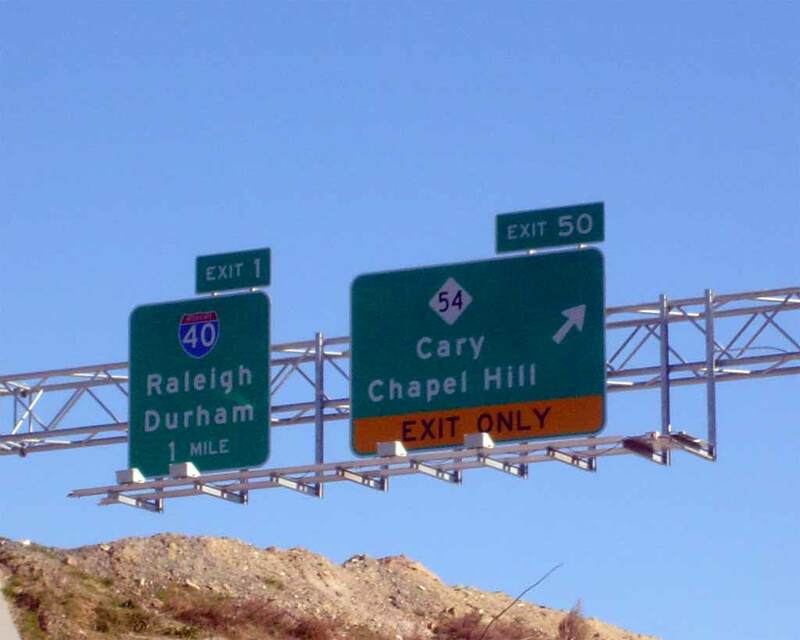 This numbering is for consistancy, to keep the same number on the loop, but violates one of NC's numbering rules of not having two roads with the same number. Currently both I 73 and I 74 violate this rule anyway, with NC 73 and US 74.